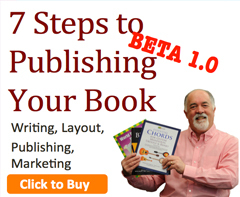 I am announcing the Beta release of my 7 Steps to Publishing Your Book Course. This course will be releasing over the next number of weeks as I complete the content. The course includes videos, handouts and worksheets. 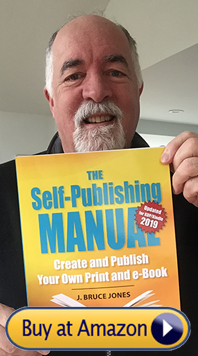 7 Steps to Publishing Your Book is designed for the new or beginning author that has started or wants to start their book but just doesn’t know what to do next in putting it all together. One of the more common questions I get asked when I am consulting with authors is “Whats Next?” So during the course release I will be surveying members, getting feedback and adjusting so we build the kind of course that gets your books published up on Amazon. I hope you join in and learn how to publish your book. 1. Your Best Tips, How to pull together the outline for your book and focusing on your subject. Modules One video are up: Starting Tips to Get Your Writing Started and Building Your Platform. 2. Writing and Editing, expanding out your subject matter. Includes templates and worksheets. Video are up. 7. Marketing your Book, Video and pdf on basic tips anyone can do to market their book is now up and also a two part video on building your book blog. Bonus. Re-purposing your content for other products. Lets Make and Publish Your Book Today, This Month, Right Now!!!! Yes you can write and publish your book right now. It is not that hard, you can do it. Join me on the journey of getting your book done. 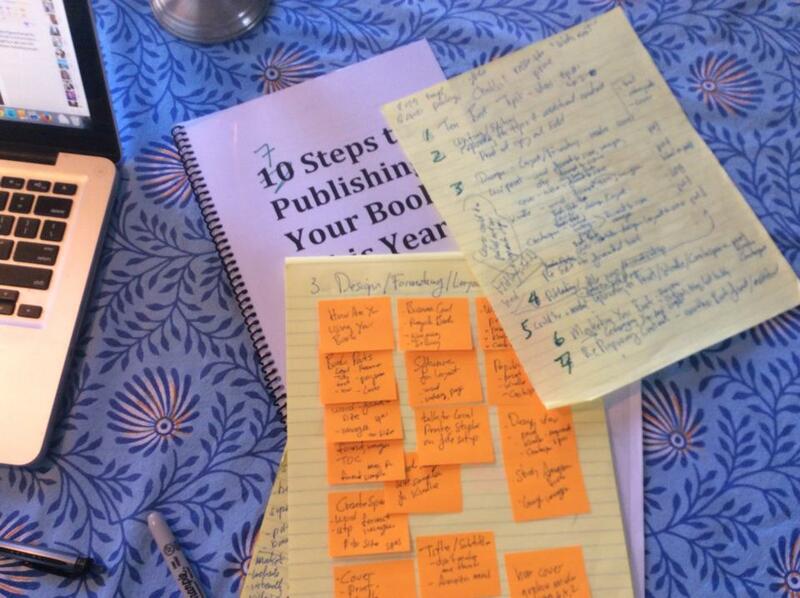 I have been procrastinating building a course on how to publish your book. Well that has to stop and I have to get this done. I am putting my stake in the ground and am starting. We will do it together. 2. Writing and Editing, expanding out your subject matter. Includes templates and worksheets. 4. Design, layout and formatting of the Cover for one of those 3 formats. Includes templates and worksheets. 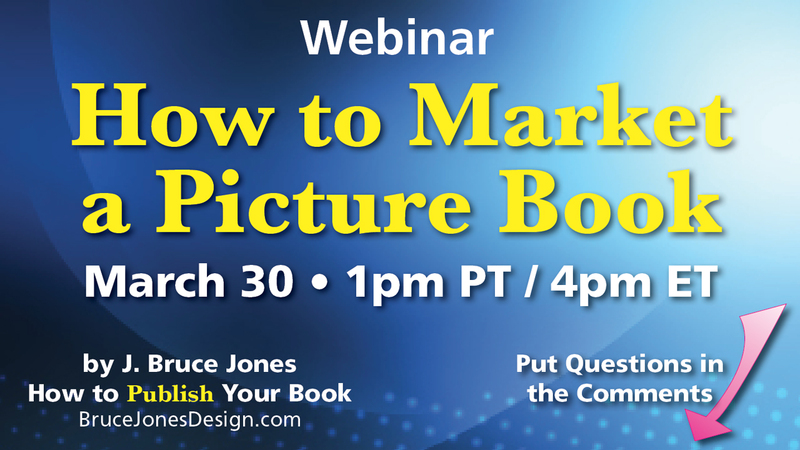 I will be hosting a free Google Hangout Webinar today, March 30 at 4:00 on How I Market My Picture Books. I will show all the techniques I use to build my publishing business. I had the honor recently of being asked to contribute an article to the Make Market Launch It newsletter. MML is a great product creating program and a outstanding community to be part of. I have been a member pretty much since the beginning. They asked me to write an article recently about some of the publishing milestones I have obtained in 2014, and to share some of my book publishing secrets with the rest of our community. I thought I would also include them here for everyone else. To learn more about MML and see the original article please click here. 2014 was a great year for my publishing efforts. I had my best year yet for book sales, selling just over 3,600 books split over 32 titles, totaling over $11,000 in sales. My goal was to get to $1,000 in book sales per month, and I have now hit that for the last three months. 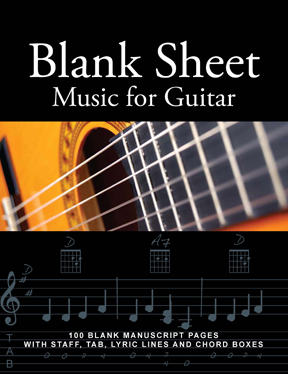 My best selling book, Blank Sheet Music for Guitar, sold over 1,000 copies. I also have some books that sold just one copy. Most of my sales come from my paperback books sold through CreateSpace/Amazon, using their print-on-demand service. I am completely in the non-fiction area of the market with books in music, geography, children’s, business and coloring, so I do much better with paperbacks then I do with Kindle. Over the past few years I have learned a lot about publishing books, and I’d like to share a few of the major lessons I learned. My number one bookselling tip is that you need to market your books outside of Amazon. Amazon will help, but it’s up to you to carry the bulk of the effort. I sell books in five different markets but two of them make up most of my sales: 1) music instruction/writing and 2) geography. For both of these markets I have built websites that heavily highlight the content of the books and then drop ads in around the edges with direct links to Amazon. 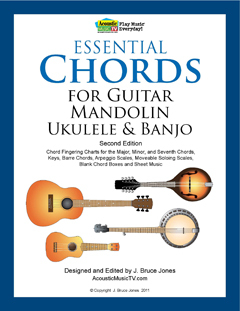 For my music books, I created AcousticMusicTV.com and featured one of my main books, Essential Chords for Guitar, Mandolin, Ukulele and Banjo. I created a web graphic for each page of the book, dropped in good descriptions (including alt tags, which search engines focus on) and ads along the sides, linked to Amazon. The graphics attracted Google traffic and the ads on the sides generate book sales via Amazon. I also set up a mailing list and a 12-step auto responder series that gives away additional PDF samples of the book alongside a sales section linked to Amazon to drive even more traffic to my Amazon sales pages. Notice that, although I don’t rely on Amazon to generate sales for me, all my marketing efforts do point there. My websites drive traffic to Amazon. 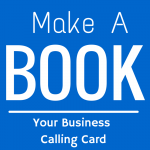 All book videos have calls to action to buy the books on Amazon. All my Pinterest graphics are linked to their matching book on Amazon. I also cross-sell inside of my books. Each book highlights other books in the series. Everything points to Amazon, allowing me to concentrate all of the traffic I get on my sales pages on Amazon. When I have an idea for a book, I look at similar books and their reviews on Amazon. For my blank sheet music books, I discovered a couple of key things missing in many blank sheet music books—and I made sure these things were included in my books and highlighted in the sales copy. Doing research can also help you discover a large market—for me, it was coloring books—so you can create books that people are already interested in buying. On the book publishing side of my business, I am well aware that I work in a world of 1% conversions—just like direct mail. You need traffic and lots of it. That is why I work so hard to make my content so easy to find and why I give so much away. I expect most people to look and not buy. But that doesn’t stop me from always rewarding the website visitor with what they are looking for, along with the option to buy a book. For me, traffic numbers are super important. That’s where I focus my attention in terms of marketing and statistics and I constantly work on my website content to attract visitors. You just don’t know what is going to work—even with all the research and stats. You need to keep creating new books and continually publishing because, even when you’ve been doing this a while, you’ll still get surprised. I tend to find that the books you work on the most and the longest tend to sell the least. The books you get out quicker tend to sell more. Maybe when you work on a book for a long time, by the time you get it out you missed the trend? I don’t know. My advice? Keep creating and publishing. Bruce just released his first online video course on “How to Make a Children’s Picture Book for Kindle.” Click here to learn more about the course. Bruce Jones is a Boston-based graphic designer and has been selling products online since 1996. He is the author of over 32 books and many other products. To find out more about Bruce visit his website: https://www.BruceJonesDesign.com. Slides from a recent presentation I did at Bill Gentile’s Video Journalism Workshop held in Washington DC. My presentation is on what do you do after you have made a video story, or short documentary and want to expand its reach to the world. We also broadcast this presentation live using Google Hangout On Air and recorded it on YouTube. Hangout On Air is a fantastic way to record your presentation or meeting or events and broadcast them to the world. And it is basically free to use. 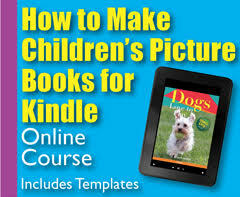 I am pleased to announce the release of my new course on how to make children’s picture books for Amazon Kindle How to Make Children’s Picture Books for Kindle. The course takes you through the entire process of how I made the Animals Love to Play series of children’s picture books. Follow me and learn how you to can make kids picture books that you and publish and sell on Amazon Kindle. Included in this course is also a special Quick Start Video that shows you how you can easily make and publish a book using Microsoft PowerPoint. Start with an idea and finish with a published book. It is really pretty easy and I show you how. Quick Start Course Video, A special video for this course, in one hour I take your from idea to live Kindle book on Amazon. Your don’t have a lot of time or want the quick overview then watch this video first. The three words you are going to use for the year to frame your goals and intentions has become quite popular. Chris Brogan and others have used it a lot to give them direction for the year. Chris’s words for 2015 are Plan, Leverage, Fabric. My words for 2015 are Create, Grow, Change. Create: finally build out my online course, get it done. I actually have two that I am working on. One on how to publish your book. Something I help authors do a lot with now. And the other course is using my editable PowerPoint maps and wrap a course around them on how to build a sales territory maps for sales managers. I also want to increase my other book and map products, but the courses are important. Grow: Grow my audience and grow my position in the how to publish your book market. Increase my presence along with my products in this market. I had some great success in 2014 and I want to continue it. Change: I have been working hard over the last 4 years to move myself from being an active freelance designer to more of a product developer, creator and marketer. I would like to speed up this transition to the next stage of life, where ever that takes me. My youngest daughter is graduating college, I have turned 60 and I am looking forward to what is next after 30 years of being a freelance designer. I will still keep doing client work but looking for the next chapter and change. What are your 3 words, share them and let the world know. To learn more about the three words check out Chris Brogan’s post, My 3 Words for 2015. I had an excellent question come in today about my opinion of the royalty rates offered by Amazon for ebooks on the Kindle and I will also put in paperback books through CreateSpace. It is a question about making money with your book. Most of the money I make on Amazon comes from my paperback books produced through print-on-demand and CreateSpace. For me Kindle does almost nothing. Which is the opposite for many people. It is most likely the mix of books that I create. I make about $3.27 royalty per book for my paperbacks with an average list price of $9.95 and $1.40 per book for Kindle with prices around $2.99. For the month of December I have sold 427 so far, having a great Christmas and on Kindle I have sold 11 books. Most of my books are on both platforms but I am selling coloring books, geography books, music books, a few business book, stuff like that. So most of my sales come from the printed books. On Kindle you have two royalty rates, 35% – where Amazon picks up all download costs and give you the widest distribution and 70% – where the author pays download costs and has a little less distribution. You may know or not know that authors pay for the book download. With most books you never notice it because it is so small, but I see it with my picture and graphics books. The download can be a couple of dollars. To cover this I select the 35% option and Amazon picks it up. Royalty rates are a common question, everyone thinks Amazon is just a big company taking all our money. But I think these issues have to be kept in perspective. Traditional publishers give you about $.70-$1.00 per book in royalties and own all the rights. Even the big guys, most of their money comes from the advances they get and then the author works against it. But our royalties are usually 2-5 times greater than this. And we get to keep all the rights. That being said, you want more money just charge more or sell more books. But that then comes down to what the market will bear, competition, and of course does anyone care and actually buy our books. I also think that Amazon has been pretty successful in pushing all prices down and down. Unless you are a big name you are in the $.99-$2.99 price range for your book. But it is their store. Another thing to remember, and this is important, is that we aren’t handling any of the e-commerce, sales page, printing, mailing, trust of Amazon and the dropping of the money in our bank accounts. That is worth a lot. I am very pleased with what I get. It is up to me to market and sell more. Personally I am thrilled by it all. I get to make any book I want and deliver it to an almost global market for zero cost and no one saying no. It is amazing. It costs me nothing but the time to make the book. I don’t have to touch any part of the process after the book leaves my hand. I love getting that money in my bank account. My part is the marketing. My recommendation is to be always working on building funnels to drive people to buy my books. My job is to build out a website, social media, book videos, off and online marketing. This is what I do. You can’t rely on Amazon to sell your books. You have to be in charge and constantly marketing. The other thing you can do and a lot people are starting to do this is use your book as a lead generator. Work the back end. You can give the book away for nothing if you have links and content that drives people to your other products. How about leading to a course, consulting, videos, into your mailing list, what ever you can think up. If you do this, your book might bring $29.95 or $25,000.00 and anything in-between. You can have live web links in your Kindle books right to your website and products. Think of your book like a giant sales pitch, but in a nice way. You can also put web links in your print books, just make them simple and clear. So my bottom line is I am very happy with the process. I don’t have a garage full of books and I don’t have to do any part of the hosting, printing, processing or dealing with the money. My job is just make books. Be sure to join my mailing list to receive my Publishing Tuesday Newsletter and other fun stuff. I recently gave a presentation to students in Thailand over Skype for the Video Workshop with Bill Gentile, I talked about what you do after you have produced a video. This information also applies to your book. What do you do after you have published your book, how can you make more money with it, get more exposure, build more awareness. I am a co-producer of the online version of the Video Workshop with Bill Gentile and a regular participant in the live workshops, which are now held around the world. It was a great experience, my first with a translator. Bill produced a short piece on the session. BANGKOK, Thailand, 15 December 2014 – So you’ve finished your video. Now, what do you do with it? How do you get it out there, in front of people, so it can have an impact? To answer these questions, I Skyped designer and Internet marketer Bruce Jones into the third day of our workshop in Bangkok. Bruce attended my first ever Video Workshop in 2008. And we’ve collaborated ever since. He’s been a regular participant in my Video Workshops, either in person or via Skype. He produced my Essential Video Journalism Field Manual. He helped produce our ONLINE Video Workshops. He’s a trusted colleague and friend. His participation in this most recent event was a highlight for all. Participants loved the information Bruce brought to the table. He helped me answer students’ questions about what they do with their videos once they are finished making them. This video is just a snapshot of the kind of material that Bruce covered. On the last day of the workshop I showed students the Internet presence that I had built, in accordance with much of what Bruce discussed during our workshop. It was because of that Internet presence that the Thai Broadcast Journalists Association had found me on the Internet and asked me to come to Thailand in the first place. So the system really works. This last workshop was a deeply gratifying experience. Students learned a new language. The visual storytelling language is universal. They learned how to make powerful, compelling videos. They learned how to Raise Their Voices with those videos. And they learned how to be heard, to have an impact, and to promote change. They learned how to establish their presence on the Internet, using the videos they produced during our event. And they learned how to create community, to connect with other communities, to cultivate these communities, and to join the international dialogue about issues that are important to them, their families, their communities and the country they live in. This is what I teach in my ONLINE Video Journalism Workshops (see http://videojournalismworkshops.com) and in my LIVE workshops (see http://videojournalismworkshops.com/live). Books are powerful tools for spreading your message. 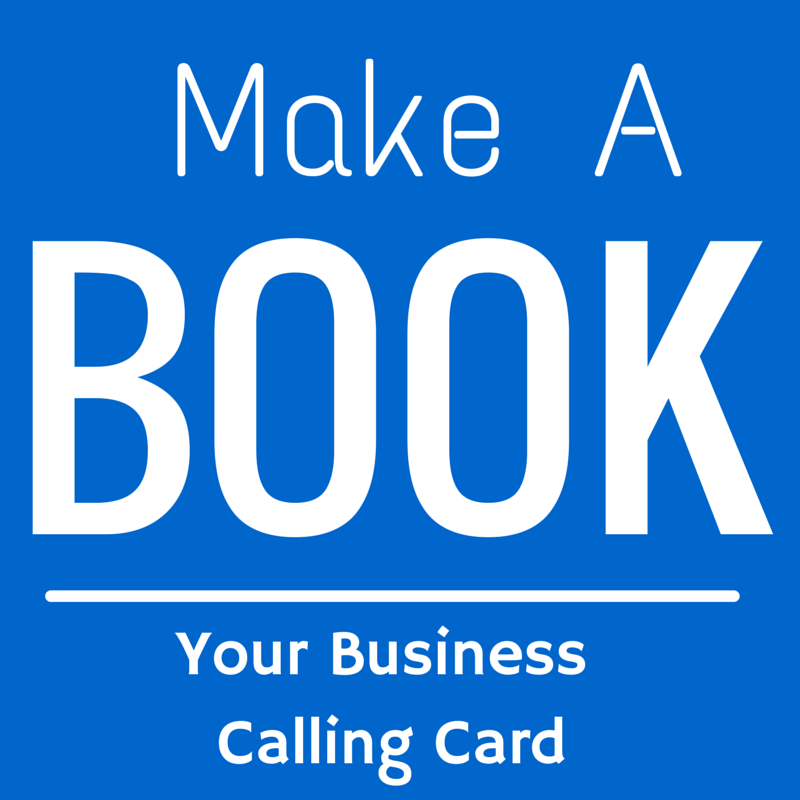 Why not make a book your business calling card, here are the 10 steps to making this happen. Create a book about the lessons you have learned in your career. Your book can be a great leave behind or an introduction to what you do and who your are. Simple to make, easy to produce. Here are the steps. 1. Write down the 10 best tips on your business, or your expertise or what you consult on. Keep these to one or two sentences each. 2. Write out one paragraph for each tip, just one paragraph. 3. For each tip expand that 1 paragraph to 3-4 paragraphs, flush out the concept. 4. Add an author bio along with a photo and contact info at the back of the book. 5. Add a resource list at the back of the book, an intro for the front, a table of contents and any additional info that might apply to your book. If you offer programs or consulting, drop that in also, give readers a call to action. We are talking 28-36 pages when done. This isn’t a manifesto. 6. Format your book in MS Word or some similar word processing application such as Google Doc, Pages, or Scrivner. If you are going to print, create a document that is the page size of your book in a page layout program. 51/2 x 81/2 is a great size and is easy to get printed at a quickie print shop for those first copies. 7. Create a separate file for the cover, for Kindle, front cover only and save it as a jpg. For a printed book, set up a full cover spread, back, spine and front, save as a high-res pdf. 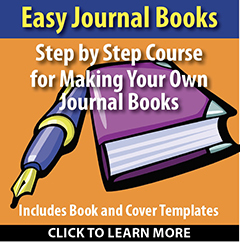 Both Kindle and CreateSpace/Amazon have online tools you can use to make a cover. 8. If sending your book to Kindle then save it as an html file for the web. If you are going to print, export or save as a pdf file. 9. Upload your book files to Kindle, or CreateSpace.com, CreateSpace is the print-on-demand, self-publishing side of Amazon.com, or take the two pdf files to a local quick print shop. On-line, add descriptions, author bio, categories and keywords. 10. Market your book though the popular social media channels; FaceBook, Linkedin, Twitter, Pinterest, your website, YouTube; these lessons make great videos. Always carry several with you to give away, people love getting a book, they don’t throw them away. We specialize in graphic and communication design for business. Our uniqueness is our personalize attention to our clients and our commitment to cost effective design and production. Our client mix includes legal, non-profit organizations, publishing, health, and many other businesses both large and small. Call us at (718) 492-0742 and let us quote on your project.